Download the harbour plan to find out where to park your trailer, car, boat or campervan. The Sailcenter Event Shop will be open during the Easter Regatta. Sailcenter will bring all Optimist parts, accessories and Magic Marine gear. Sailcenter is the largest specialised water sports store for dinghies and catamarans. We are the official Benelux importer of LaserPerformance dinghies, Dart, Marström and DNA catamarans, Ovington 29er, 49er, 49erFX and Musto Skiffs, SailQube, Blue Blue, McLaughlin and Winner Optimists, Blue Blue 420, 470 and Cadet. 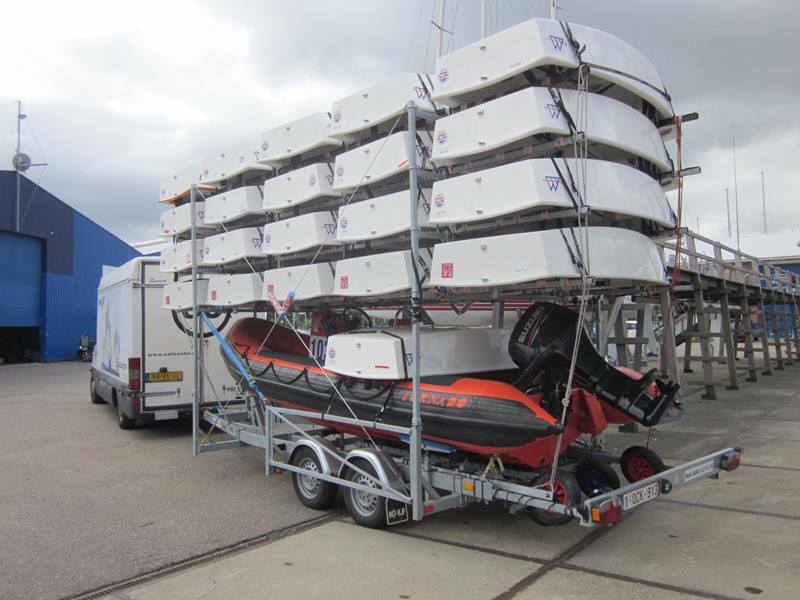 We have a huge stock of spare parts for all kinds of dinghies and catamarans. We also sell topcovers, trailers and a large assortment of sailing equipment, such as ropes, blocks and cleats of Harken, Ronstan, Holt, Allen and Seldén. Need sailing gear? Sailcenter offers the largest collection of Magic Marine, Zhik, Gill and NeilPryde sailing clothes. Does your boat need reparation or maintenance? No problem, we can fix it for you! Just visit our store at Marina Muiderzand in Almere (The Netherlands)!